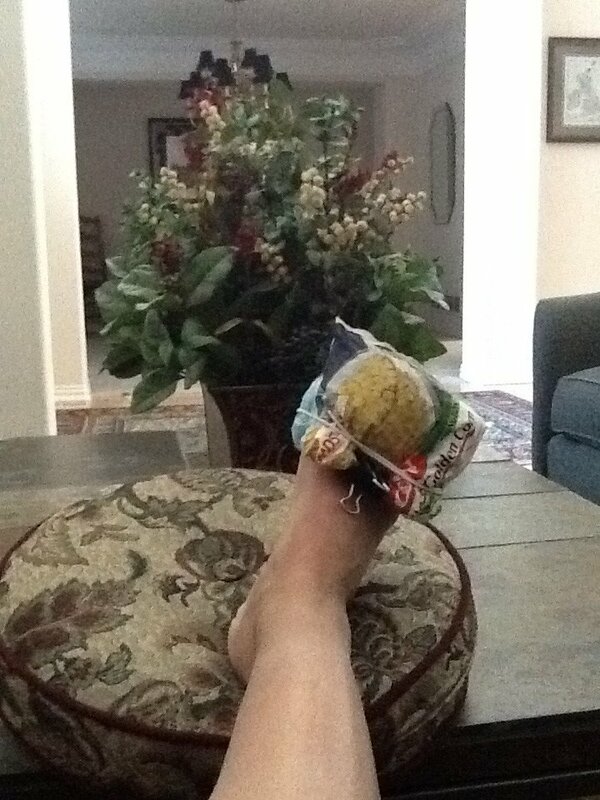 Yep a toe break. Did it happen in some dramatic training event? Nope! No amazing story here other than just my general klutziness. In short, I jammed my 2nd to smallest toe HARD into a piece of furniture. After picking myself up off the floor, I sought out the trusty frozen kernel corn immediately for icing. But to no avail. My trusty foot Doctor confirmed via x-ray that my toe is broken and I cannot run for two weeks from the break. I can then only run in a moderate fashion–meaning no distance AND no speed. Shortly after I resume running, I must have another set of x-rays to ensure that I’m not dislodging the mend. The question I have is: What does this do to my quest for podium at Outdoor Divas (I know that was likely a pipe dream anyway)?! What does this do to my first Long Course triathlon?! Speaking with @CoachCary to set up a plan. Plan A as well as a Plan B! This entry was posted in It's NOT the Destination...It's the Journey and tagged broken toe, long course triathlon, triathlon. Bookmark the permalink. Nooooo! I’m terribly sorry! You have such a fighting spirit. Take this time to really rest your body. Poor girl!